North Korea has allowed foreign tourists from a second Western travel agency to stay overnight in the border town of Sinuiju, the Washington D.C. based Radio Free Asia (RFA) reported last Tuesday. Young Pioneer Tours (YPT), a China based company that specializes in tours to North Korea, told RFA last week that tourists would now be able to stay overnight in Sinuiju, to have a better chance of seeing what daily life is like on North Korea’s border with China. 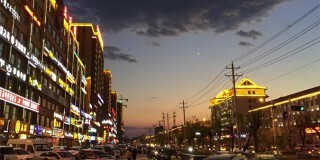 The development makes YPT the the second company to offer tours to the seldom visited town: in December the Beijing-based Koryo Tours became the first Western travel company to offer visitors the opportunity of staying overnight in Sinuiju, a town located opposite the Chinese city of Dandong rarely visited by Westerners. “You can now visit Sinuiju and stay overnight either by train from Pyongyang or by travelling in from Dandong, China,” a statement on the Koryo Tours website read in December. 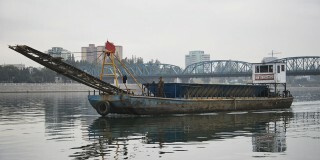 Neither Koryo Tours or Young Pioneer Tours are currently allowed to bring American citizens to Sinuiju – either from Pyongyang or directly from Dandong. However, Koryo Tours say they are “working hard” to change the rules so that American visitors may visit Sinuiju in future. Pyongyang gave the green light to tourism companies wishing to organize trips for Westerns to Sinuiju in May last year, when day visits coordinated through Koryo Tours were first allowed. Since then, visitors eager to make the trip to Sinuiju have paid around $200~300 for the opportunity. 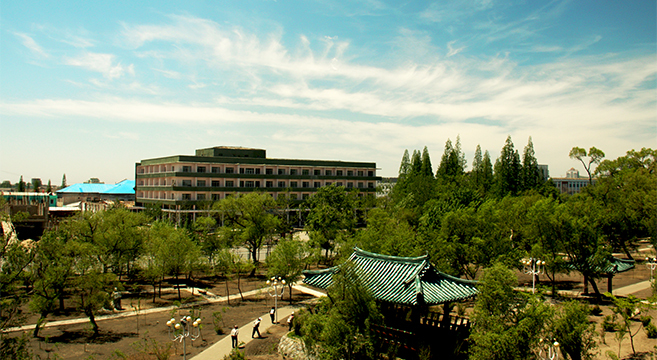 Prior to May 2013 only Chinese tourists were allowed to visit Sinuiju. However, Westerners have for many years passed through the town for customs processing when visiting Pyongyang by train from China. Subscribe to read the remaining 291 words of this article. Tae-jun Kang is the NK News East Asia Correspondent and is based in Hong Kong. Prior to writing, he worked as a riot police officer in South Korea for two years. He can be reached at [email protected] or @taejun_kang on twitter. 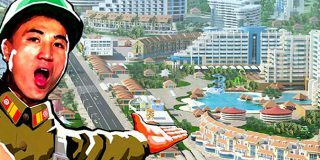 North Korea’s new east coast tourist resort: who is it really being built for?